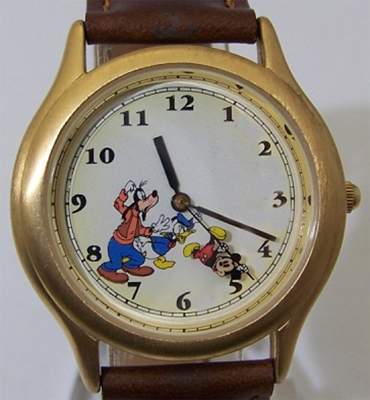 Click the button below to add the Disney Mickey Mouse Watch Clutching Second Hand with Goofy and Donald to your wish list. Vintage Collectible with Mickey, Goofy and Donald. Disney Mickey Inc. Rare limited Release, Unworn Working Condition. 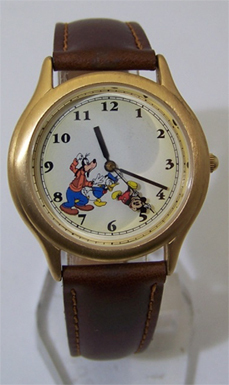 Mickey Mouse watch with Mickey clutching and holding second hand while Goofy and Donald look on. Mens brushed gold tone bezel collectors limited release. Brown leather 18mm Disney band. 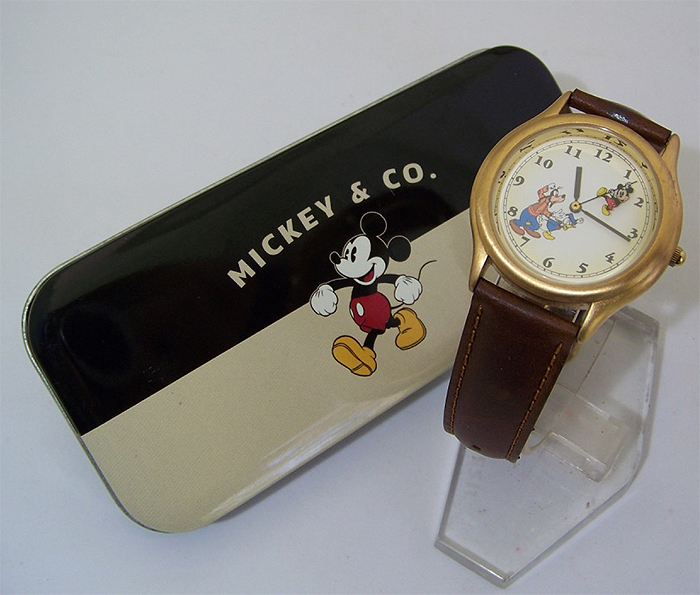 Brushed gold tone bezel Disney branded mens watch, case size 34 mm. is now also a popular oversized womens watch size. Ships in a Disney themed watch tin. 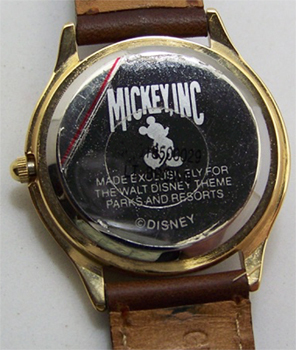 This is a new unworn working collectible wristwatch manufactured in the mid 90s by Texas based OPI inc for Disney Mickey Inc. This is a new, unworn working collectible in excellent condition. Rare, and One only!